I literally ate these every day for lunch for MONTHS and didn’t get sick of them. 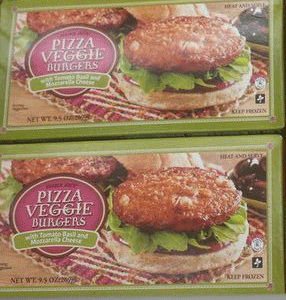 Not generally a big fan of veggie burgers (and I am definitely not a vegetarian), but heat these puppies up and toast a piece of frozen naan (also from TJs) and you have yourself a stellar meal. 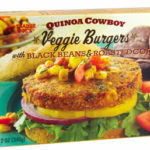 I love the idea of veggie burgers–something filling, fairly low in calories, and quick to heat up in the microwave. 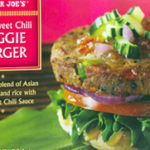 So I’ve tried all of the major brands but have found them too bland and dry, just not that tasty (even when I pile on cheese, pickles, and sauce, such as TJ’s mango ginger chutney, which I love). But now here’s a veggie burger that stands out from the rest. I eat them on English muffins (perfect size) for a delicious lunch or light dinner. These really aren’t that good. Smell WAY better than they tastes. 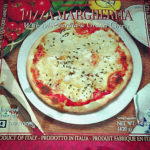 If you’re expecting a pizza… look elsewhere. It taste more like salty, seasoned-up tomato sauce, but with the texture of soy. It’s just…very lackluster. I’ve had WAY better. 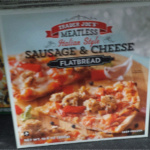 It is tolerable, however, if you burn them in the oven. Cook it WAY past it’s time and WAY over it’s recommended heat, then it’s decent. With black beans and roasted corn. 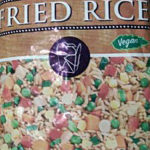 A blend of Asian vegetables and rice with Thai Sweet Chili Sauce, sold in frozen boxes.